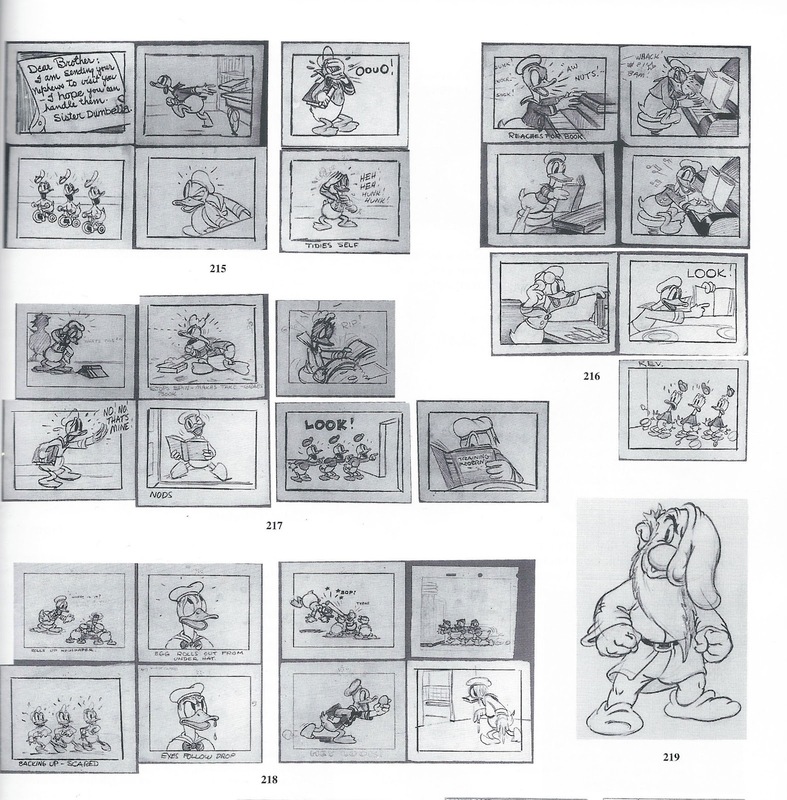 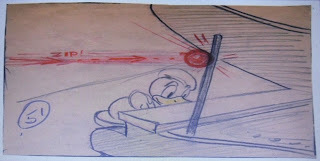 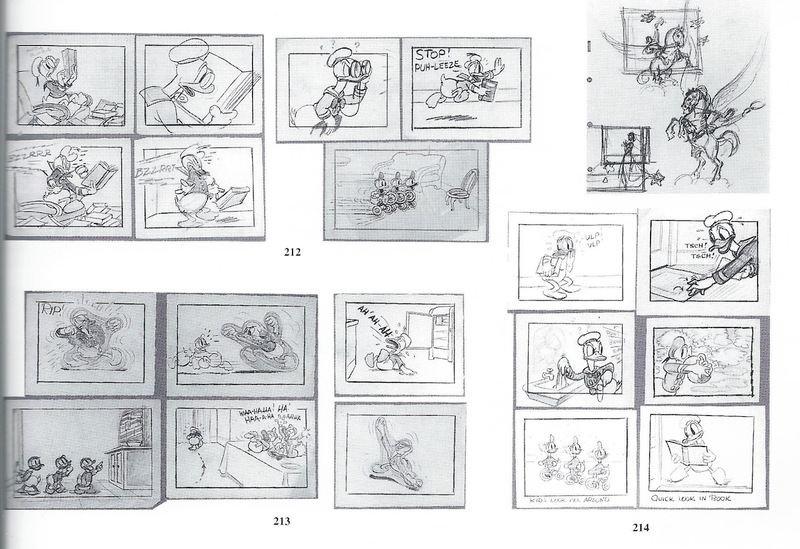 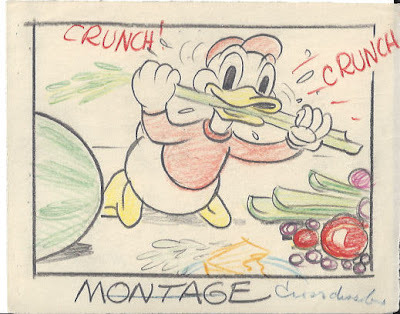 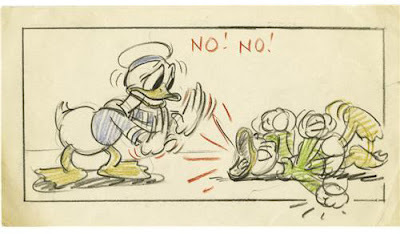 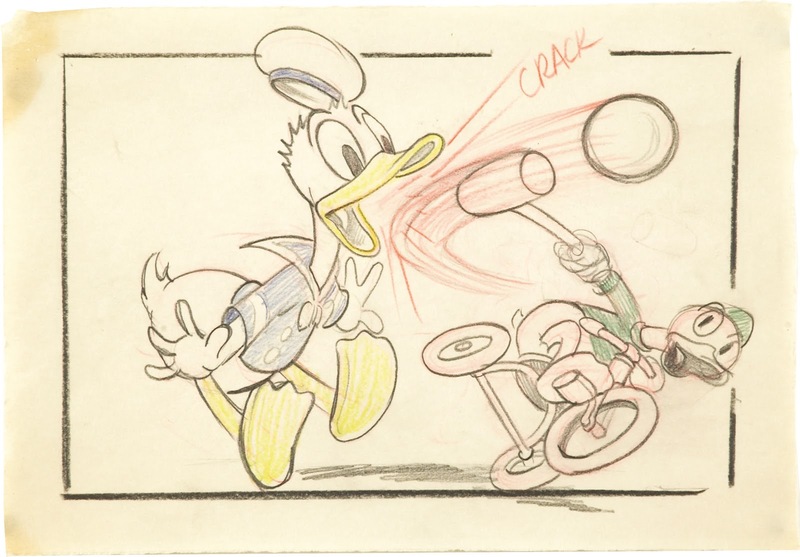 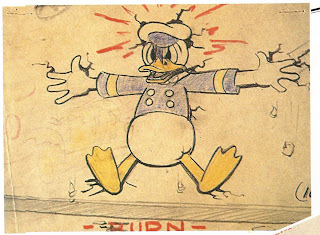 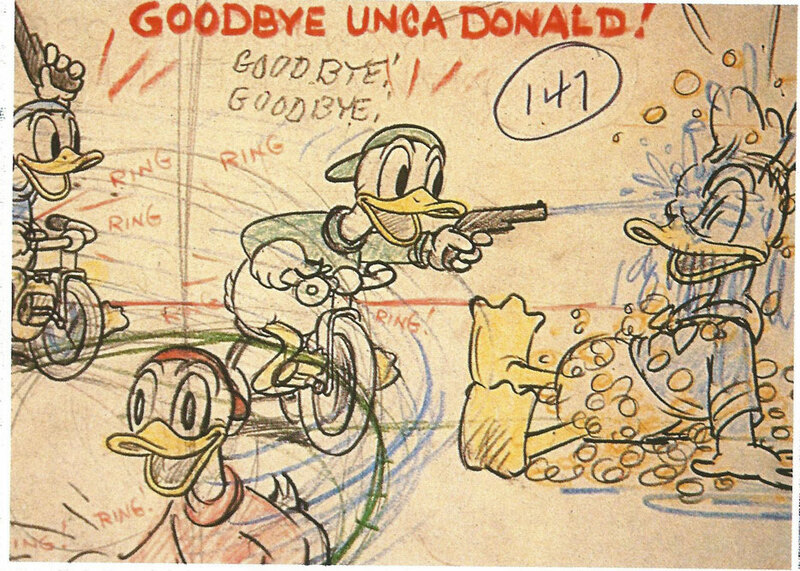 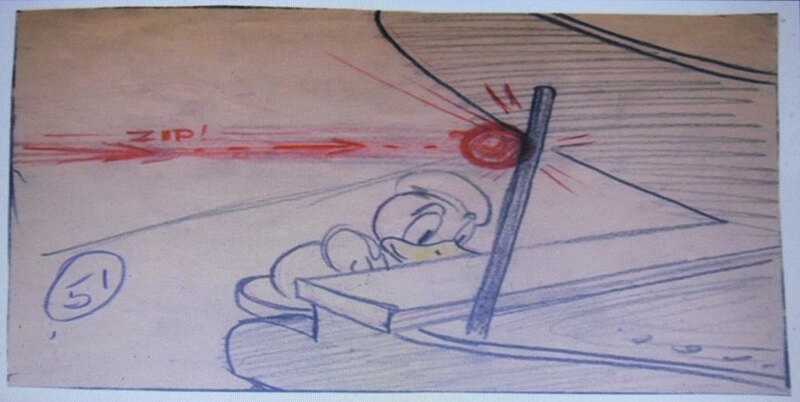 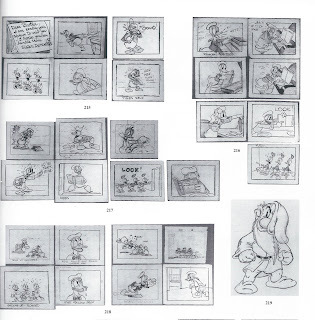 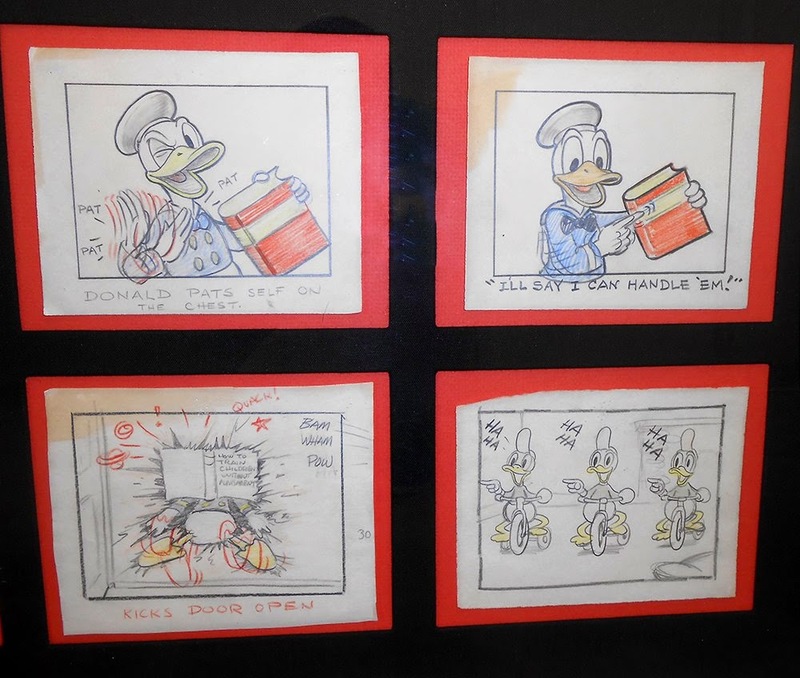 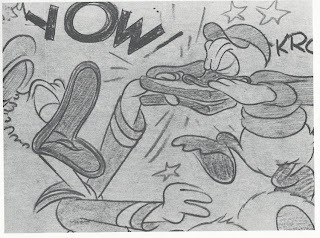 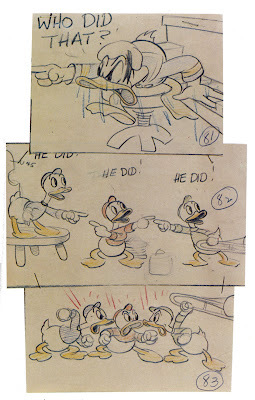 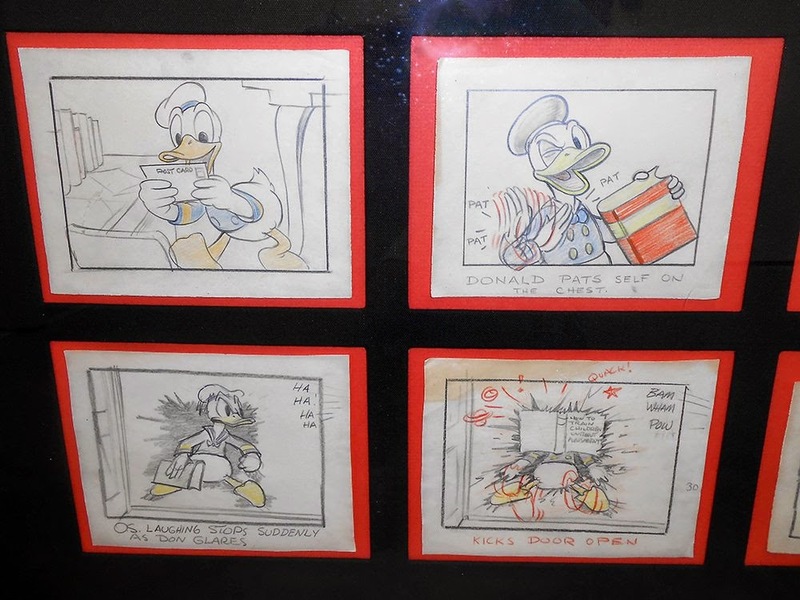 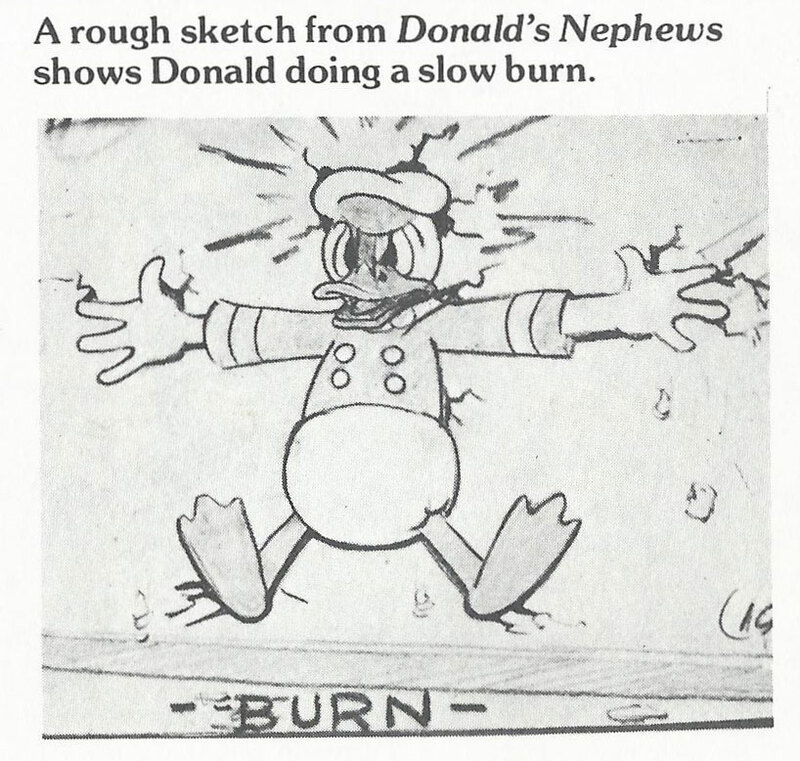 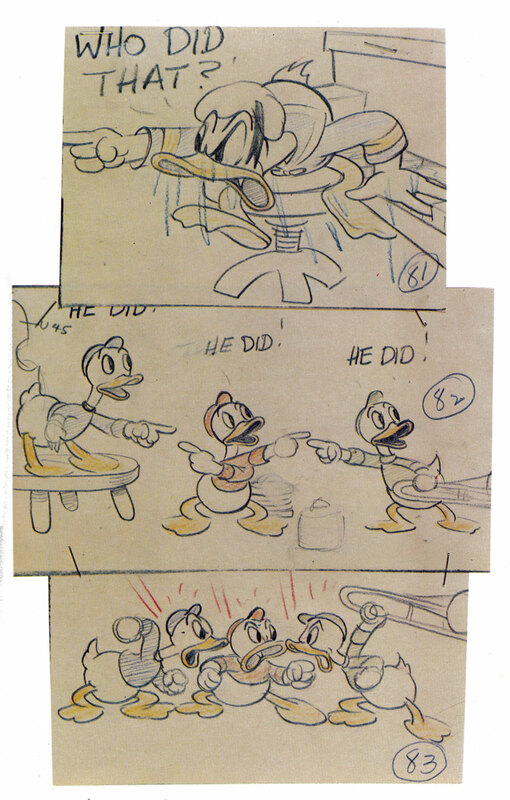 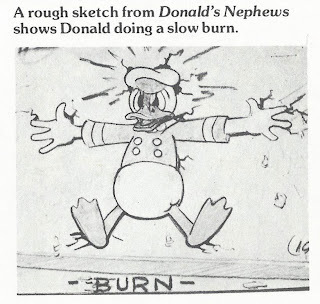 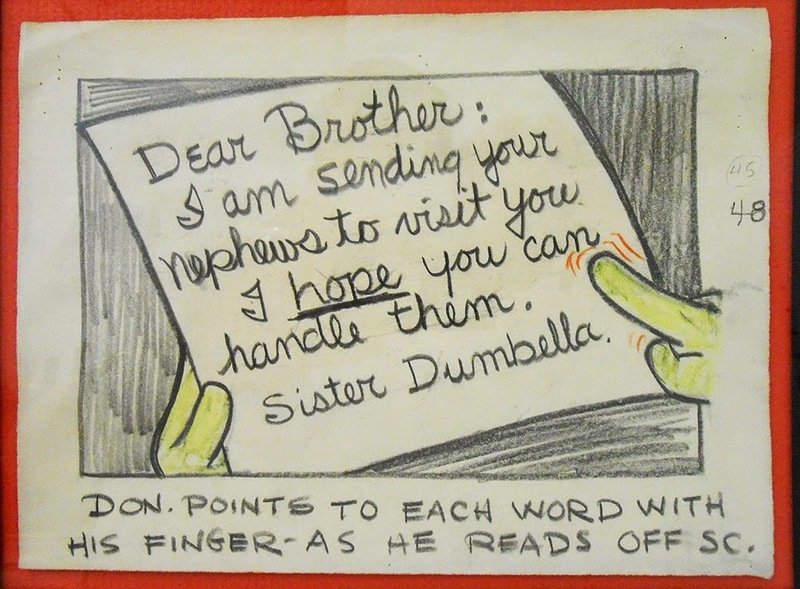 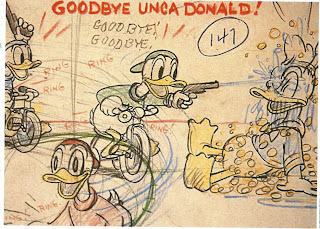 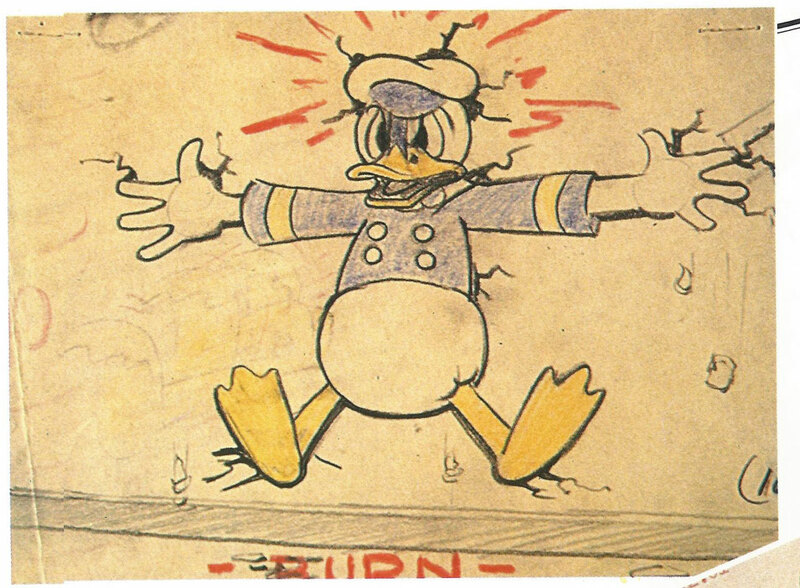 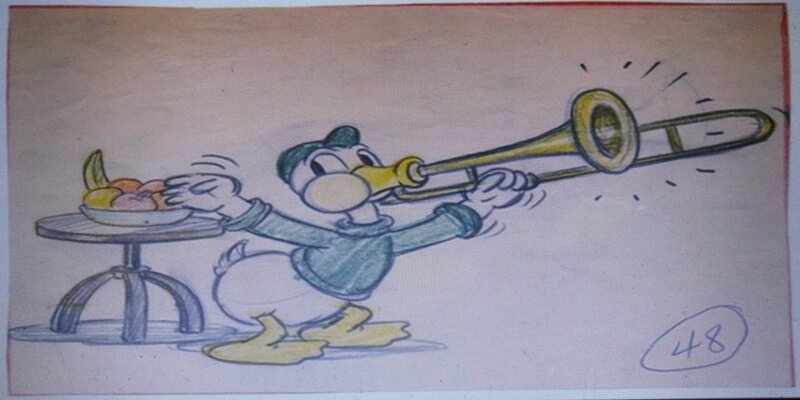 What you see above is a 1937 storyboard for the short "Donald's Nephews" from my collection. 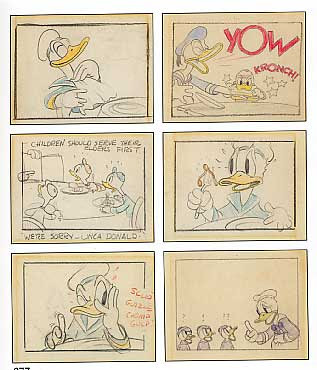 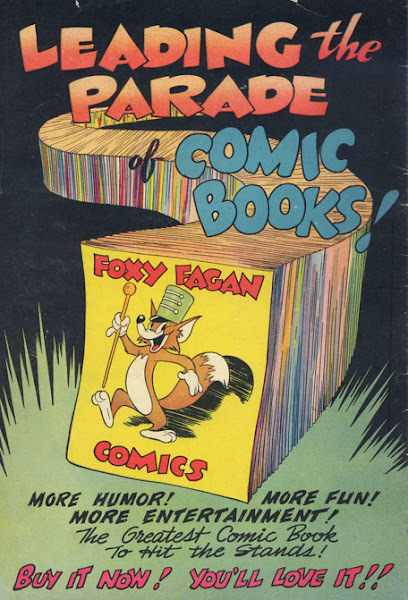 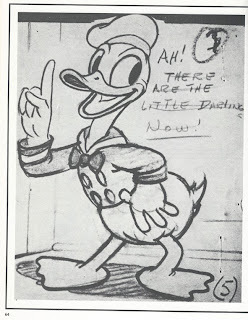 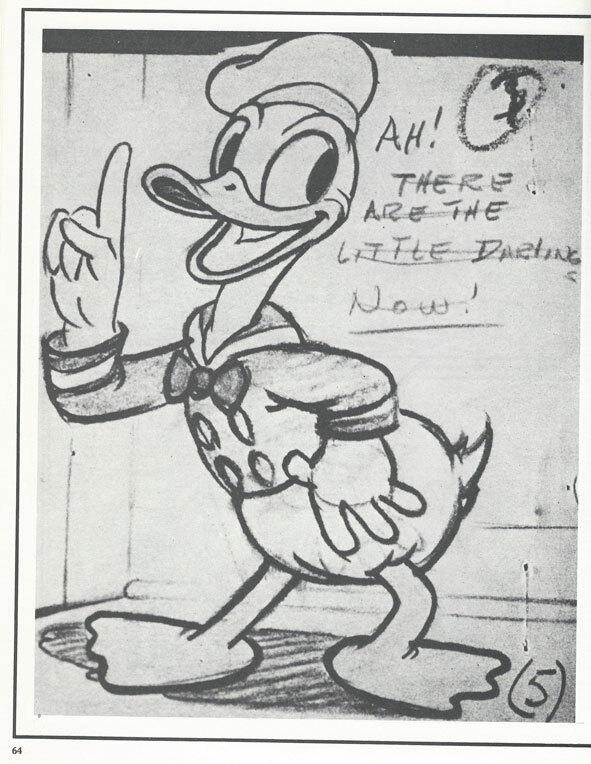 Harry Reeves worked together with Carl Barks on the boards for this cartoon, that was the very first to feature Huey, Dewey and Louie. 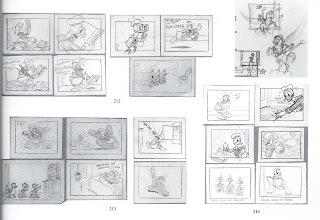 Since I bought the above drawing I've been trying to find more storyboards from this cartoon. First Andrea Cara sent me a few and then Gunnar Andreassen surprised me with a ton of images. Thanks!!! 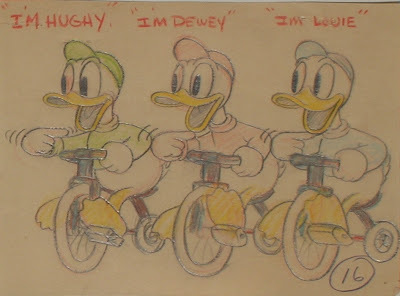 Now, let's step back in time to see what Reeves, Coty, Barks and the rest of the guys were up to at the Story Department in '37. 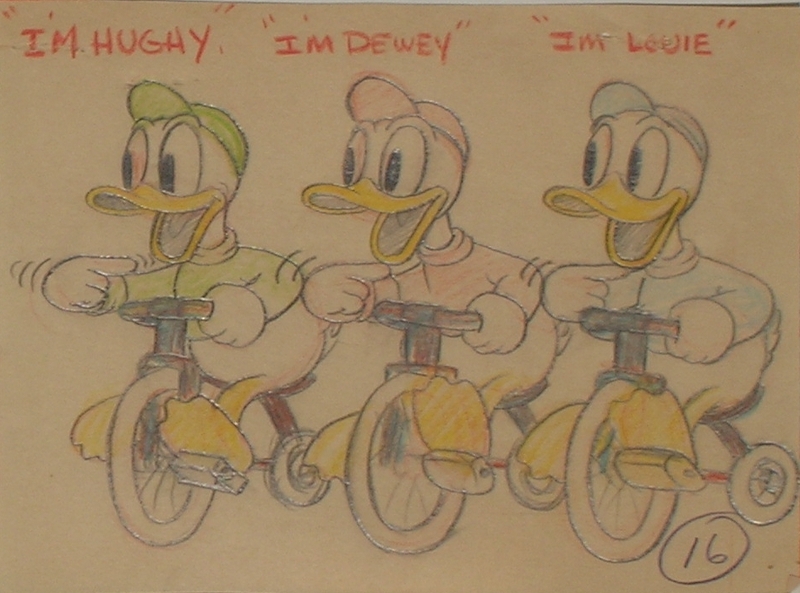 #16 Notice the spelling of Huey: "Hughy"! 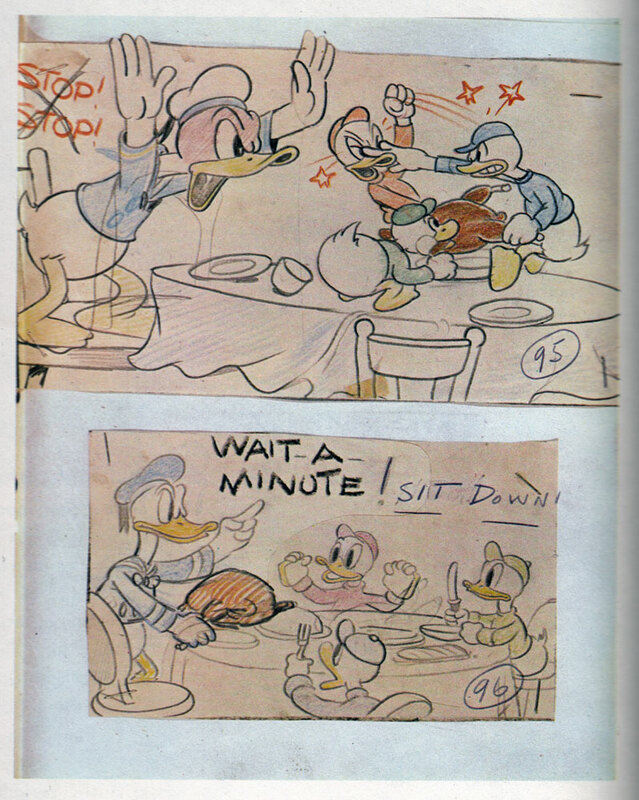 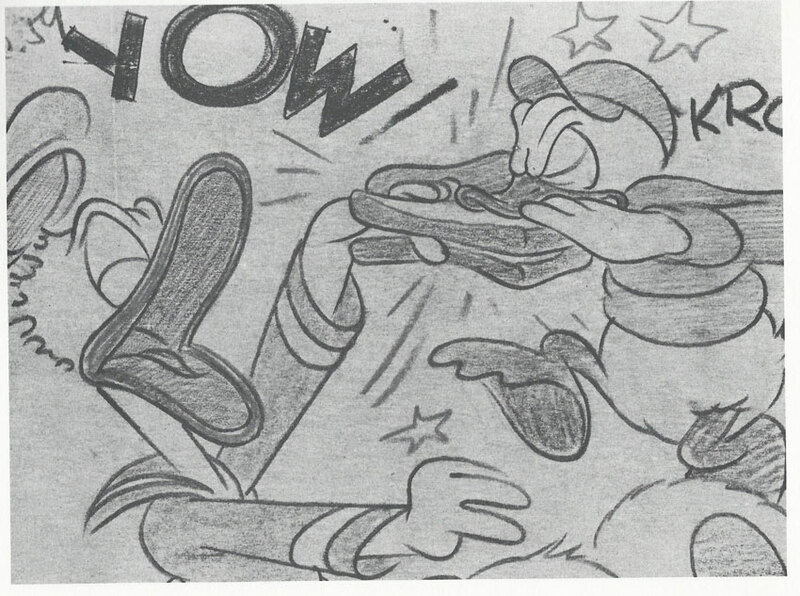 #81-83 was found in the book Walt Disney's America. 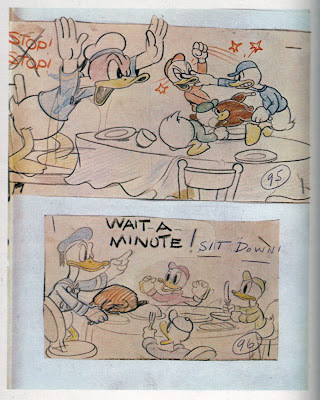 #95-96 in The Art of Walt Disney. 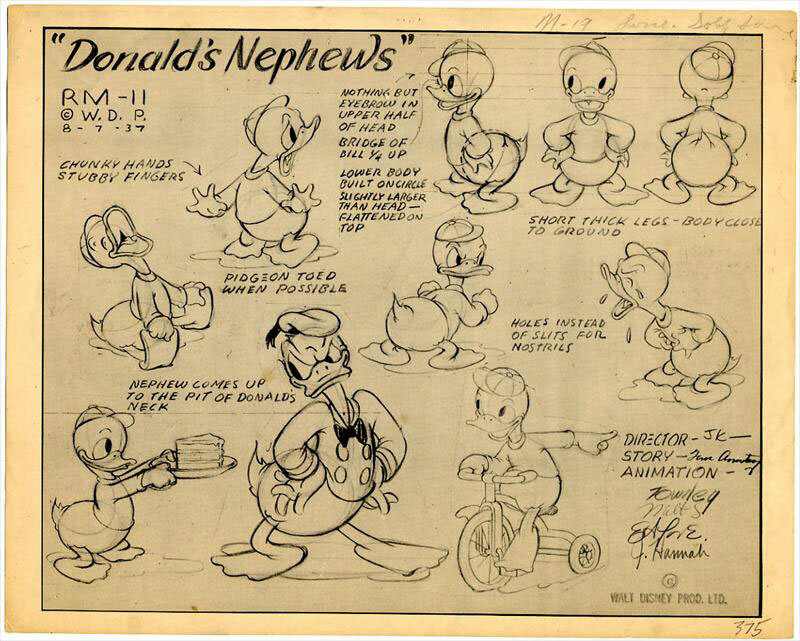 + A bonus from Gunnar: The model sheet for RM-11! 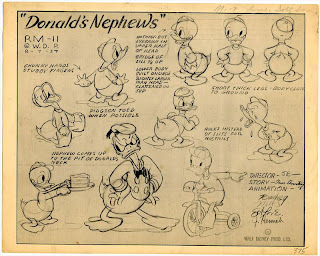 And check out the draft at A. Film L.A. ! 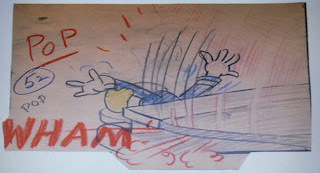 Thanks to Geoff Blum, Tom Andrae, Gunnar Andreassen and Andrea Cara for help and images! 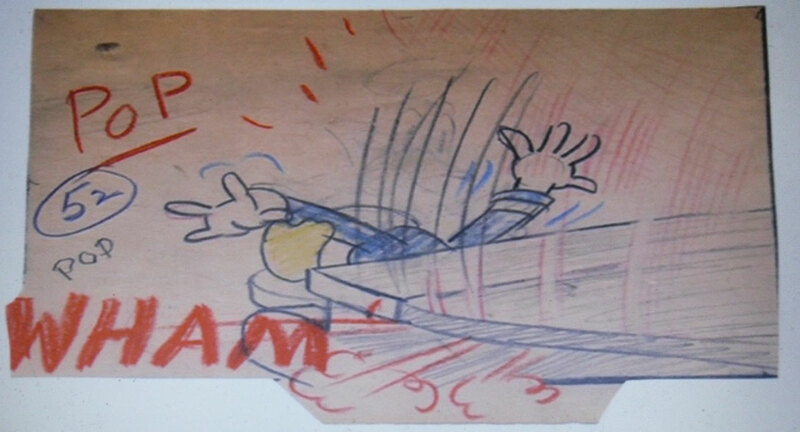 Now, anyone got more storyboards from this cartoon than the ones seen above? 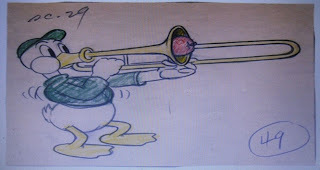 Hm... Så originalskissen följer varken Disneys eller Egmonts kepsstandard. 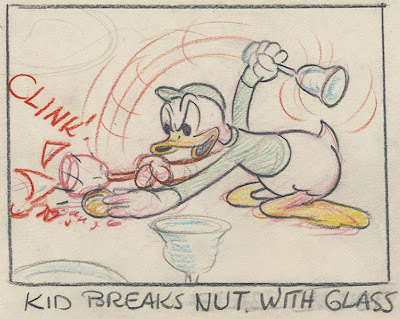 He!